If you've been enjoying our Santa Clara Microlot (or the espresso version) from the Antigua Valley, Guatemala, we strongly suggest that you head over to Eileen P. Kenny's always excellent 'Birds of Unusual Vitality' blog, to learn a little more about the man behind Santa Clara, and a number of other great farms in Guatemala, Ricardo Zelaya. We're very proud to be roasting and serving coffee from Ricardo for the first time, and look forward to opportunities to continue to work with him and the number of farms that he helps run. 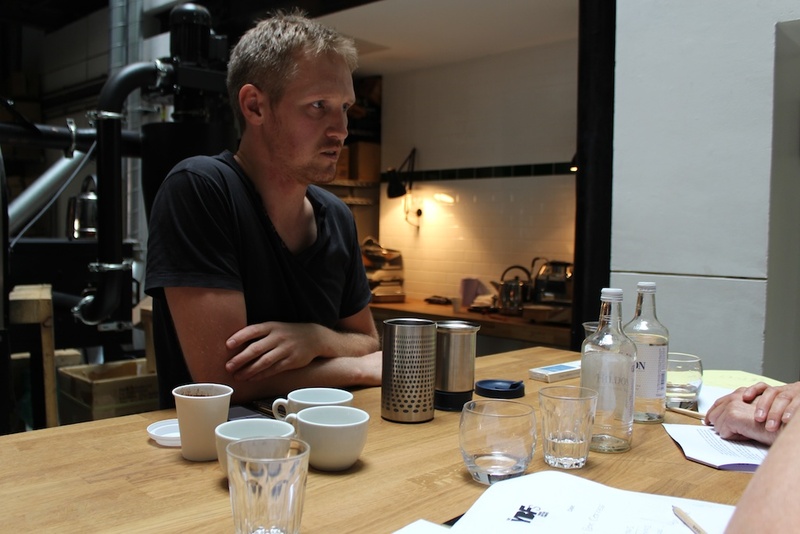 Back in June we received word from Tim Wendelboe that he was putting together a line up of coffee roasters to provide service for this year’s MAD Food Symposium in Copenhagen, an annual meeting of the world’s top chefs, sommeliers, writers and food lovers. 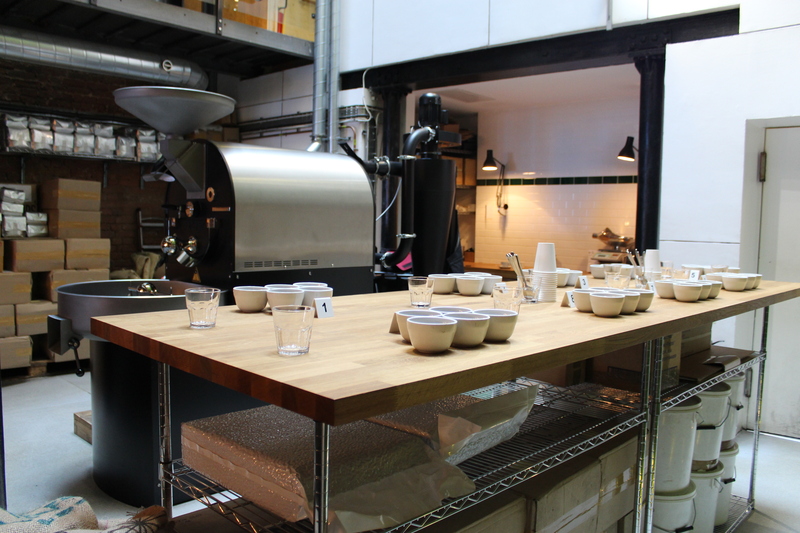 We were asked to submit samples of three filter roasts and two espresso roasts, along with information pertaining to harvest dates, varieties, altitude and lot sizes, to his roastery in Oslo to be considered for the line-up. 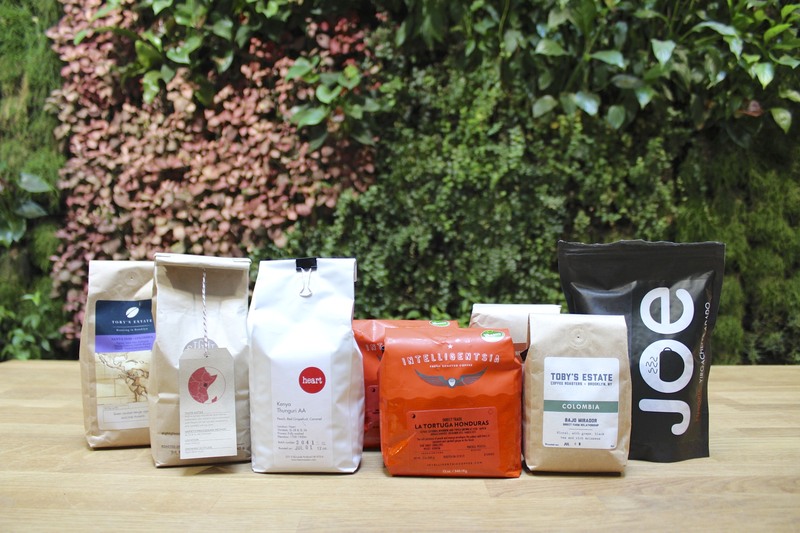 Once samples from all the contenders were cupped, we got some great news: our Santa Clara Espresso, Guatemala and our Olke Bire, Ethiopia and Gichathaini AA, Kenya coffees had been selected for inclusion. Alongside the coffee, we needed three members of the Workshop Coffee Co. team to head to Denmark, to prepare and serve the drinks ourselves. We had a short while to organise the trip, and spent some time deciding how we wanted to present both our coffee and ourselves. 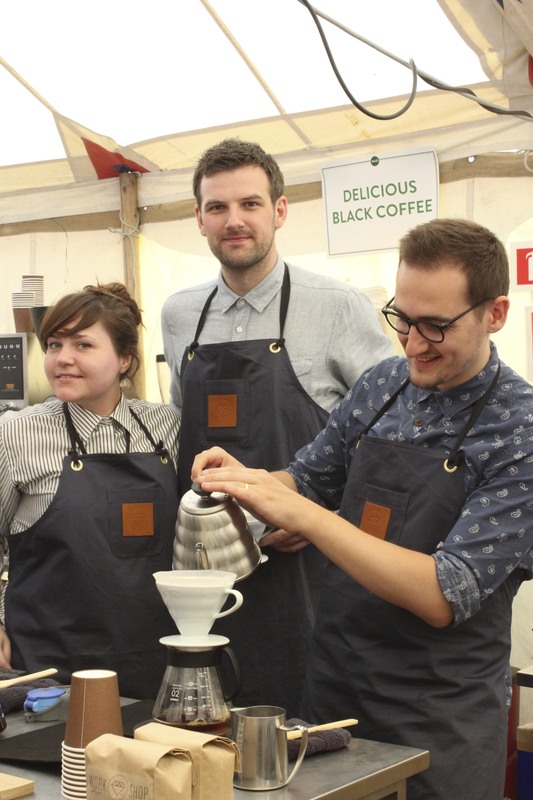 We reached out to our friends James and Lucie at Albam Clothing, who kitted us out in our own custom aprons. On the evening of the 23rd August, Nico, Richard and I all met at our Clerkenwell store to divide all the required gear into our luggage. 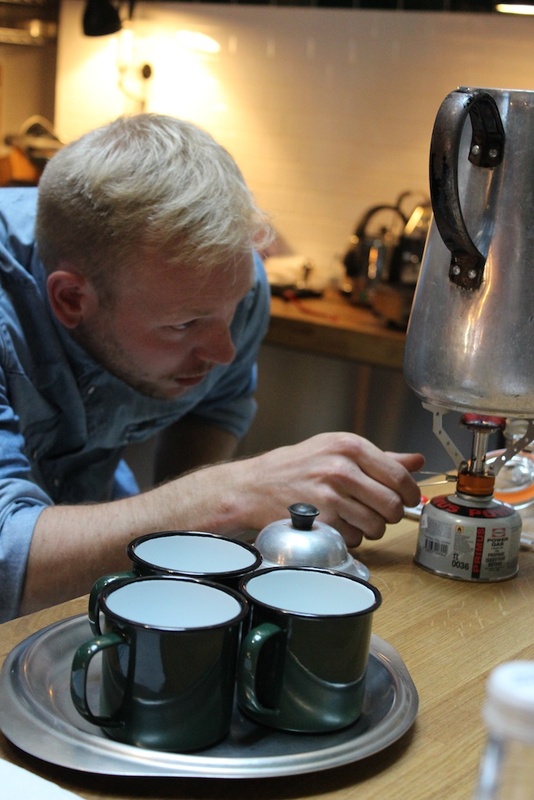 We were taking a lot of stuff, including V60 brewers, decanters, scales, dosing tins, stirrers, pouring kettles, towels, a refractometer, about 20kg of coffee to brew, and 120 100g sample bags, and knew we were pushing close to the weight limit. At 6am the next morning we left St. Pancras to get the train to Gatwick, and were all carrying an average of 19.2kg of our allocated 20kg hold luggage. Just made it! Upon arriving in Copenhagen, we proceeded to our rented apartment, which just so happened to be the home of Danish film director, Christian Bonke, and dropped off everything that wasn’t coffee or brewing wares (amounting to a couple of shirts and not much else). 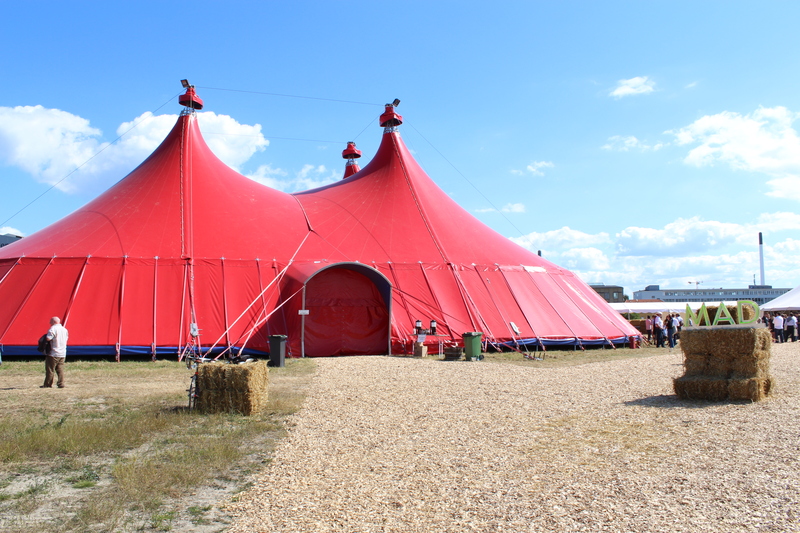 We hopped in a taxi to take us to Refshalevej where we could see the enormous red circus tent all set up. We gave our sample bags of coffee to be dropped into the MAD tote bags and unloaded our wares. It was great to see some familiar faces, and really exciting to get to meet some exemplary coffee professionals for the first time. Tim Wendelboe sat us all down with fellow event organisers, Jens and Bjorg, and briefed us on how he wanted the service to run for the duration of the event. 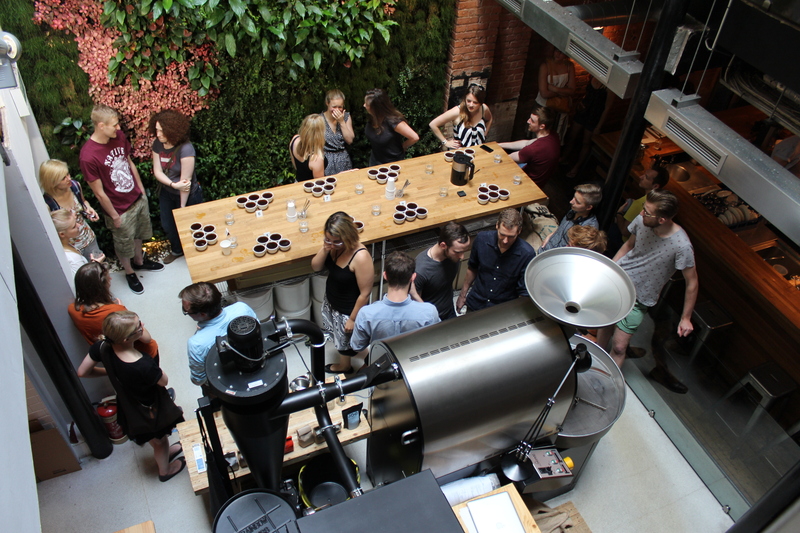 With the line up of roasters and baristas representing Tim Wendelboe, Koppi, The Coffee Collective, Solberg & Hansen and Da Matteo, we felt pretty confident that it was going to be a great service, with some seriously delicious coffees on the bars. The rest of the day was spent dialling in the various coffees we had brought with us, and to get familiar with the equipment. 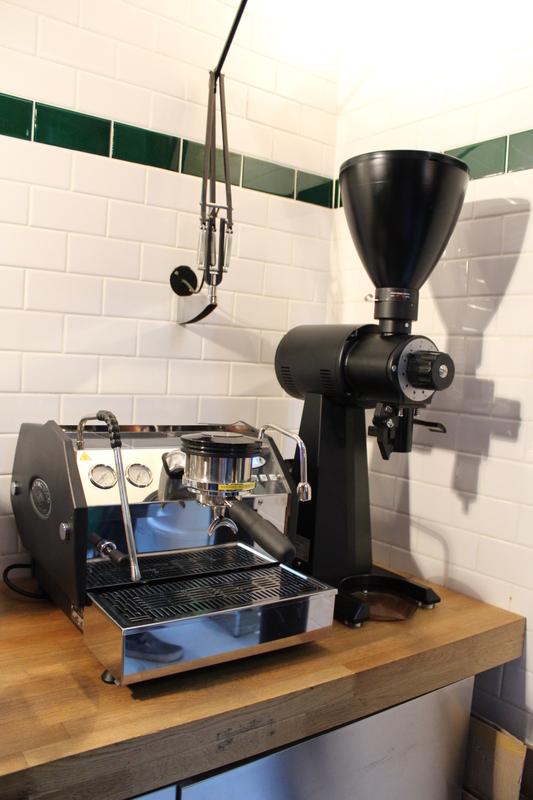 Bunn had provided water towers and batch brewers and Nuova Simonelli provided two Aurelia T3 espresso machines and two Mythos espresso grinders. It is always interesting brewing your coffee in a different environment through different equipment, and we were really happy with how things tasted. The water treatment was a reverse osmosis system (sadly the Danes are also cursed with vile water quality) supplied by Bespoke Water Systems, the same system we’re currently testing in our own Production Department. The next morning we woke early to get to the tent for 7:00 am, and were scheduled to work the brew bar alongside Koppi and Da Matteo from 7:45 am. Once the Gichathaini was dialled in and tasting great, Rene Redzepi gave a short speech to brief us before the punters arrived. The best piece of advice given was simply “Don’t freak out.”. As soon as people started arriving and the tent started filling up, we were instantly slammed! The three of us were brewing away under a menu that simply read 'Delicious Black Coffee' and we could barely keep up with the demand. 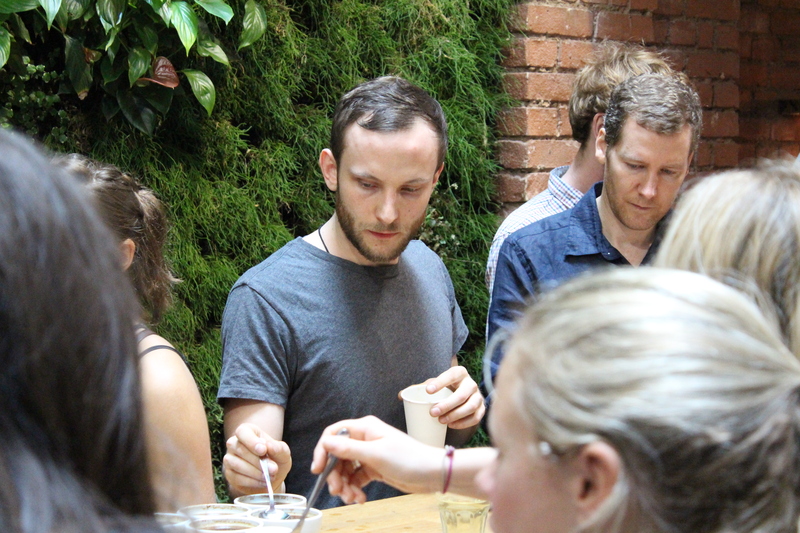 The people we were serving had various degrees of experience with specialty coffee, but the general level of interest and curiosity was very high. Because all the coffee was included in the price of the ticket, there were no tills or payments to transact, meaning we had extra time to talk about the coffee and provide a more engaging service to a really captive audience. People wanted to know where the coffee was grown, how we roasted it, why we bought it, what flavours to expect, how we were brewing it, and where they could buy it! Working alongside two other roasters on one bar was great as it meant people could have a small taste of each coffee being brewed. It was also very intimate with 9 people working in a space of about 10 square feet, in a tent! 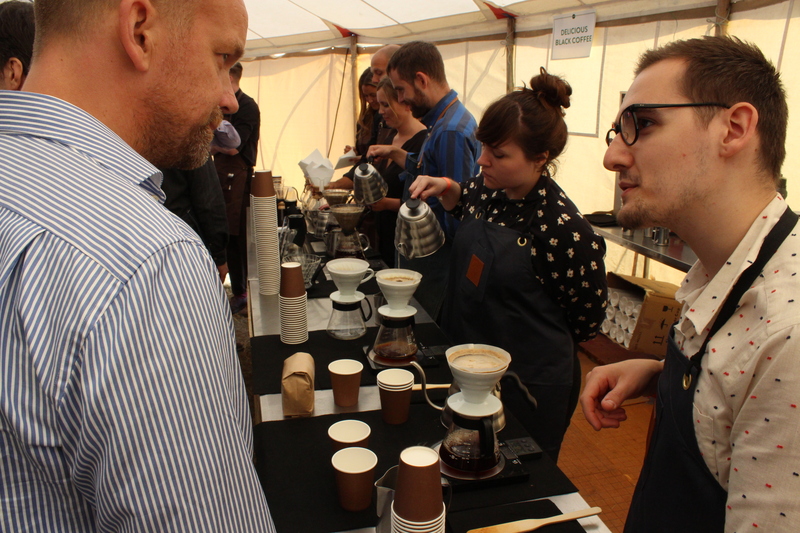 Once the lectures started and people made their way into the main tent, we packed down our brew station and moved onto the espresso machine. Now standing under a menu simply reading 'Espresso, Cappuccino' we were serving our Santa Clara Espresso for the lunch period and during the afternoon. It caught a lot of people’s eye that we were weighing every dose of coffee and weighing every shot pulled on drip tray scales. Several of the bakers in the crowd applauded our considered and scientific approach. We closed down and returned to the flat, and after a much needed power nap popped out to Mikkeller Bar for a very modest couple of half pints and a blood sausage. On the Monday morning, Tim briefed everyone again before service, saying that the feedback from Sunday was incredibly positive, and that we should focus all our energies on giving great and memorable service for the last day. We were manning the batch brew stations for the morning rush, so were capable of serving a much greater volume of delicious coffee. None of us were too experienced brewing filter coffee on such a large scale, so we trialled a few different settings before settling on a recipe that produced great results. We struggled to get enough out of the coffee and experienced some uneven extractions, so developed a technique of manually ‘blooming’ the dose of coffee with some hot water and stirring it all up to ensure a complete wetting of the grounds, and a more even brew. The results were much more consistent and very tasty indeed. After brewing at least 50 litres of coffee in the morning, we returned to the manual brew bar for the last two services of the symposium. This time we were serving our Olke Bire, and, knowing how busy our first session on the brew bar was, we were far more prepared for the swarm of people coming in from the big red tent. Mission Chinese Food were running the lunch service, and with the smell of chilli and soy heavy in the air and Smashing Pumpkins blaring out, the hundreds of symposium attendees poured into the food tent for lunch. Alas, every person queueing was drinking a bottle of Mikkeller Beer, specially brewed for the MCF lunch service with coriander and lemongrass. We were barely visible through the haze of wok smoke, and everyone seemed content with their beer. Remembering Tim’s request to up the service angle, we decided that we needed to start bringing the coffee to the people. 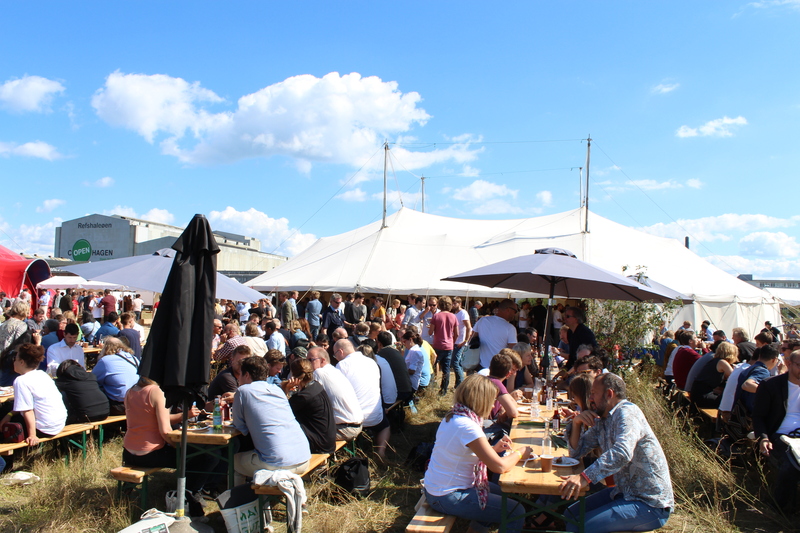 Outside it was glorious, and people were perched on hay bales and long tables in the sunshine. Armed with a couple of pots of the Olke Bire and a sleeve of cups, we wandered around looking for potential coffee drinkers. People were so appreciative of the coffee being brought to them, and many weren’t even aware of the coffee service being provided inside. We met a lot of interesting people that we might not have had we stayed inside, for instance the lovely folks at Blanch & Shock. A few bottles of Mikkeller may have made their way over to our side of the bar, and the atmosphere in the tent was incredible. Once service was over, we cleaned down as usual and helped Jens pack up the equipment. After heading back to clean the flat and pack our things, we headed out to join everyone at Cafe Europa for a delicious dinner of lamb shank and polenta and several gin and tonics. Our bellies full and spirits high, we moseyed on over to the MAD afterparty being held under a bridge. Ice cream and Mikkeller beer were freely available: a hedonist’s paradise! Sadly the police came at midnight to stop James Murphy (of LCD Soundsystem, and incidentally a huge coffee nut) DJing after he had played all of three tracks. We headed back to the flat to polish off a few more beers and dance around the The Very Best of the Ventures playing on our host’s turntable. After tucking in our guest for the evening, Ben Kaminsky, we set our alarms for 5:00 am and turned in ourselves. There’s no denying we all felt pretty exhausted the next day after traveling back to London on the early flight, but it was a small price to pay to have been part of such an amazing event. 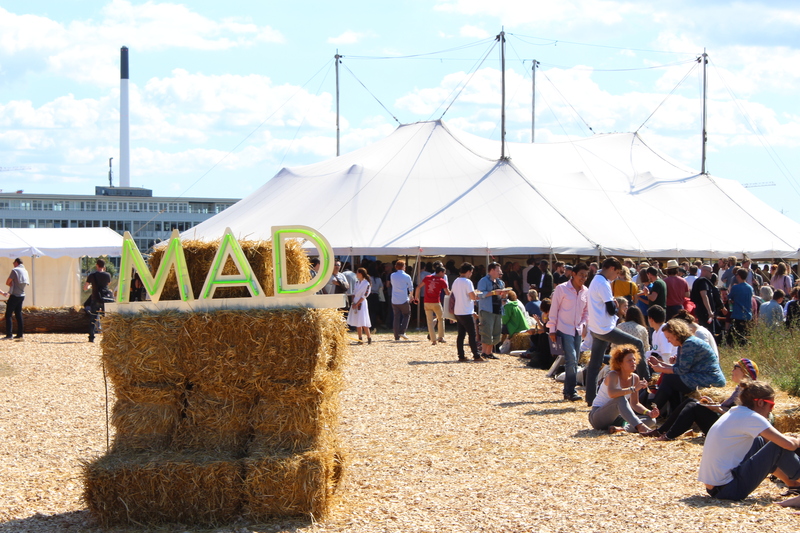 I really hope that we are asked to attend MAD again, and would recommend attending the event to anyone interested in spectacular food and drink or just hanging around with some really rad people for a few days in a big red tent in of the world's most beautiful cities. 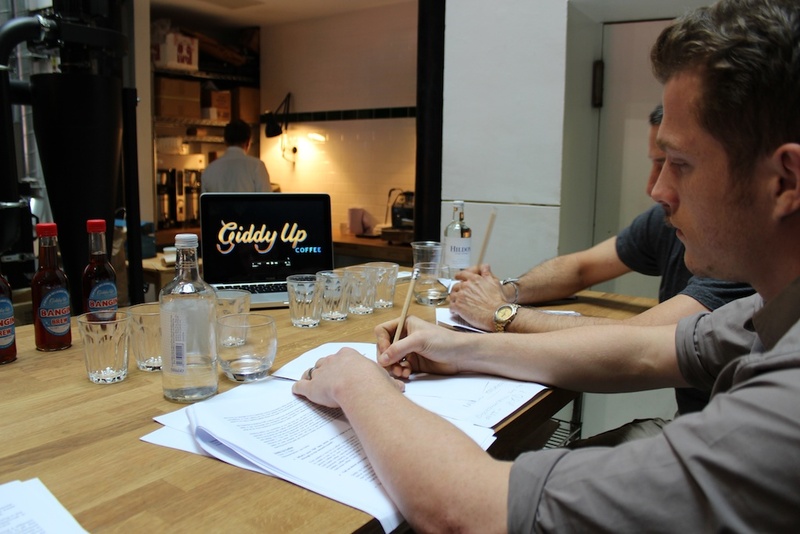 For the second year, we're very pleased to be involved in the judging of the Young British Foodies Awards, and were especially glad to be hosting this year's judging session. If you're unfamiliar with The YBFs, now is a good time to do some research and get on board; it's a fantastic annual award, celebrating and promoting the people behind some of the most delicious, artisanal and crafted food and drinks in the UK. ...the people putting food and drink back at the heart of our communities. They're the men and women using lost arts and new skills to bring craft back to the kitchen. Perhaps more importantly, they're the people who've come to represent the best of British innovation and entrepreneurship in a struggling economy. Whether they're using an airing cupboard as a smokehouse, or putting their own twist on butchery techniques that are centuries old - together they are defining a new culture of food in Britain. The YBFs Foundation is here to shine a spotlight on this grassroots talent (in the annual awards) and provide a springboard to success with world class mentoring and commercial opportunities. 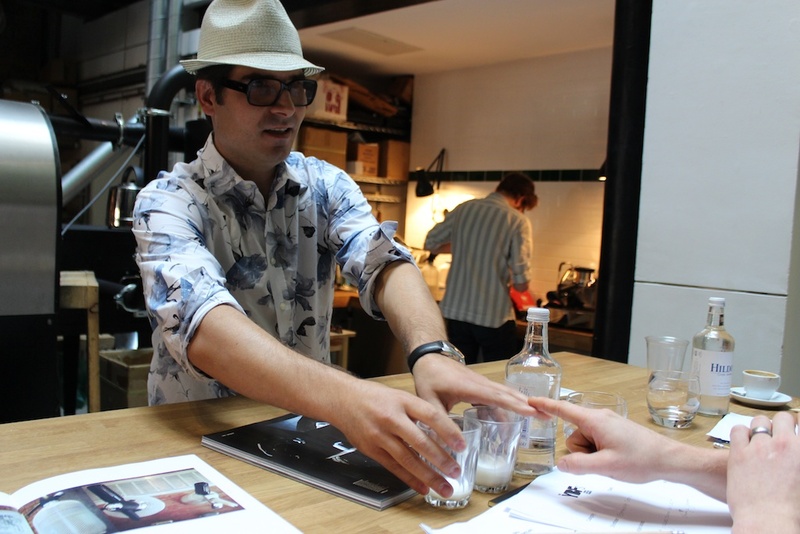 This year saw even tougher competition on the coffee category, leaving my fellow judges -- Marco Arrigo (the man behind Illy in the UK) and Maxwell Colonna-Dashwood (owner of Colonna & Smalls, and last year's winner) -- with a difficult task; interviewing each finalist and deciding on a winner. Presenting this year were David Freeman (Freemans, Edinburgh), Gideon Botha (Blankbox Coffee), Hoi Chi Ng & Mattias Suchert (Coming Soon), and Lee Harte (Giddy Up Coffee). Winners will be announced at the awards ceremony evening, held at Tanner & Co on September 10th. Follow @theYBFs on Twitter for more information, and updates on other categories. 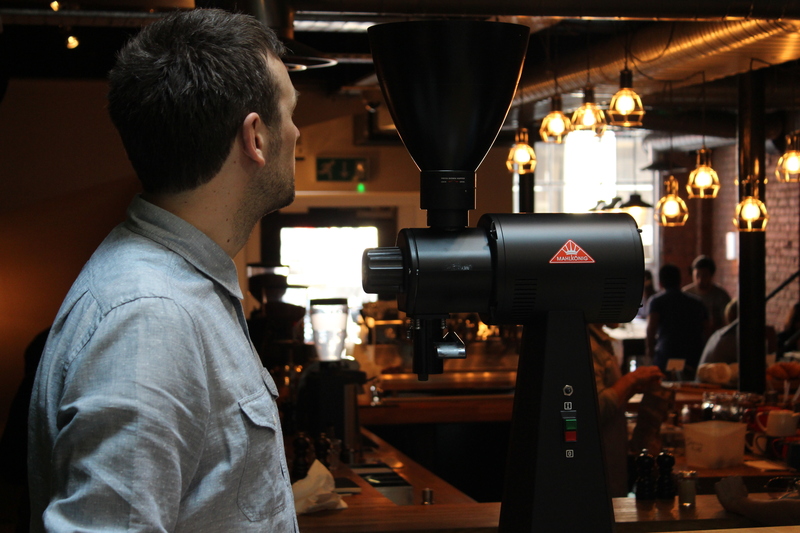 Upon purchasing a Mahlkonig EK43 grinder for our production department in Clerkenwell, all our coffees that we cupped were displaying a greater level of clarity and definition. We began to develop a preference for those bowls with very high extraction yields, none of them showcasing the traits typically associated with over-extraction, even when we were drinking what the SCAA would call over-extracted. Instead, things just got sweeter and fuller. 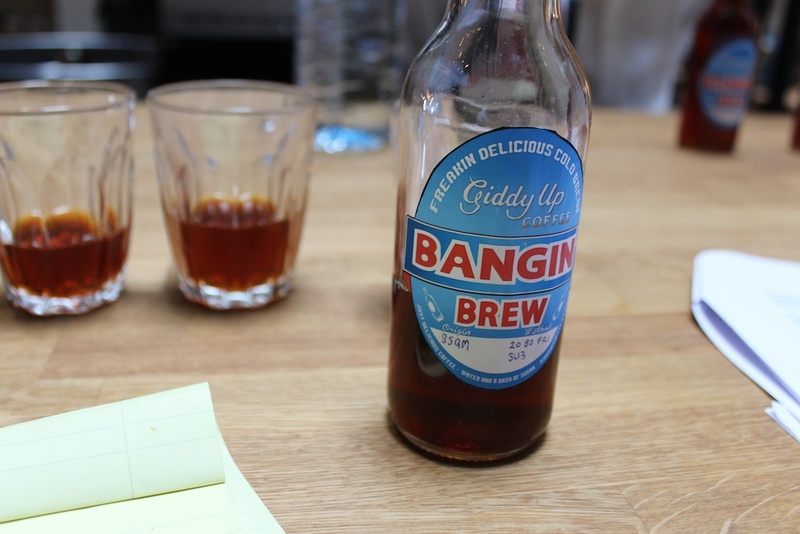 Three of us attended Ben Kaminsky’s recent Brewing Class hoping to better understand what the EK43 was doing differently. 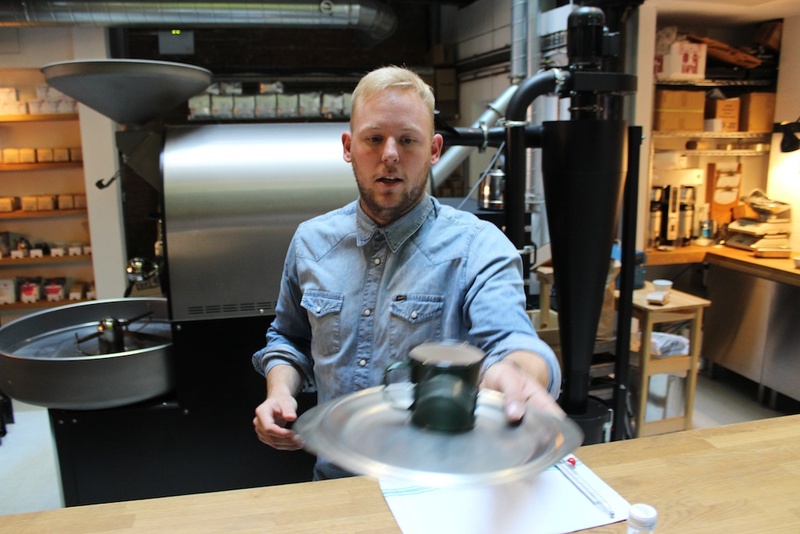 Ben gave a lecture on his experiences with various grinders and their relative success and failure in producing a grind quality that enables optimal coffee extraction. 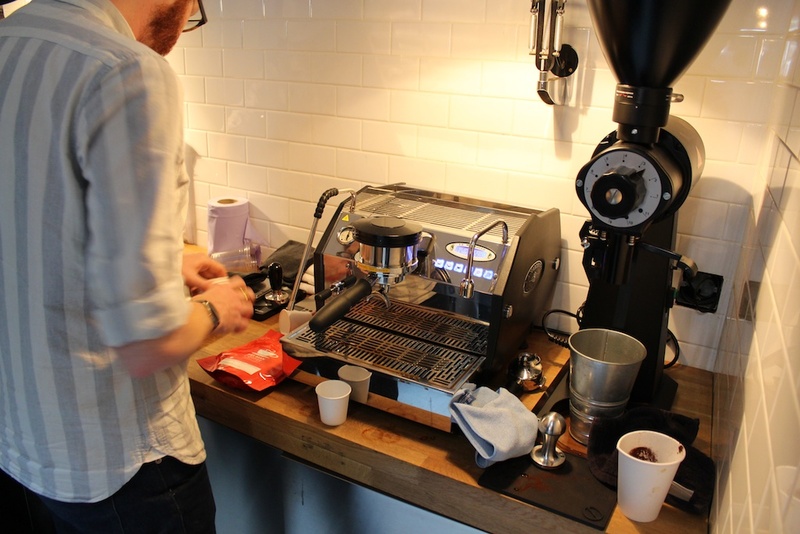 There was plenty of opportunity to vent about the frustration over under-extraction in espresso brewing, and the inevitable trade-off between roast solubility, roast flavours and modern espresso brew formulas. 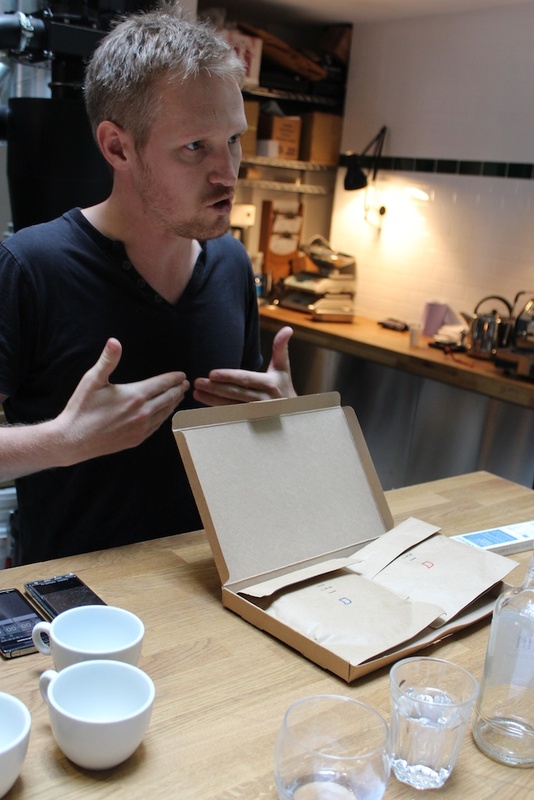 The most enlightening moment was when Ben presented his data on grind size distribution and the contribution of various grind sizes to the overall extraction level, and the resulting flavour. If a grinder creates a wide spread of different grind sizes then your brewed coffee with inevitably exhibit both over-extracted and under-extracted flavour traits. Also, due to the unavoidable presence of fines, which extract very readily, we are not actually extracting as much from the main portion (what Ben dubs the ‘fillet’) of grounds. 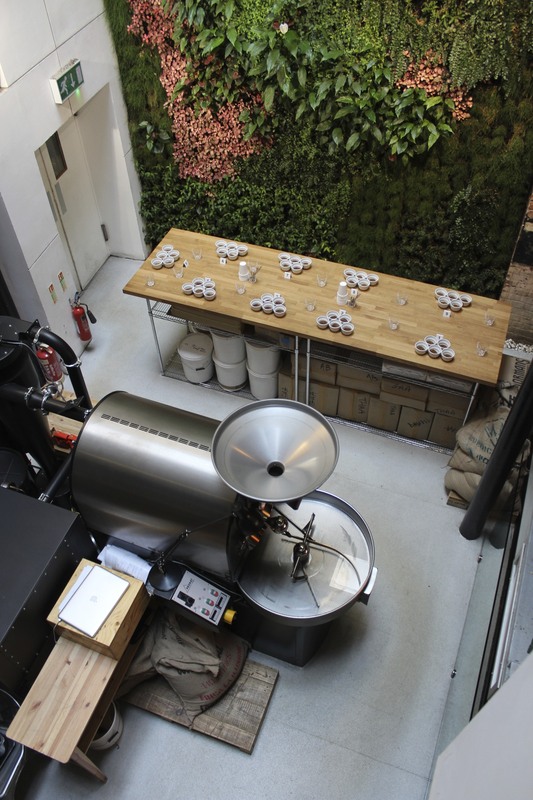 An unintended consequence could be to end up roasting darker to alleviate the negative flavours caused by under-extracting the main portion of grounds. 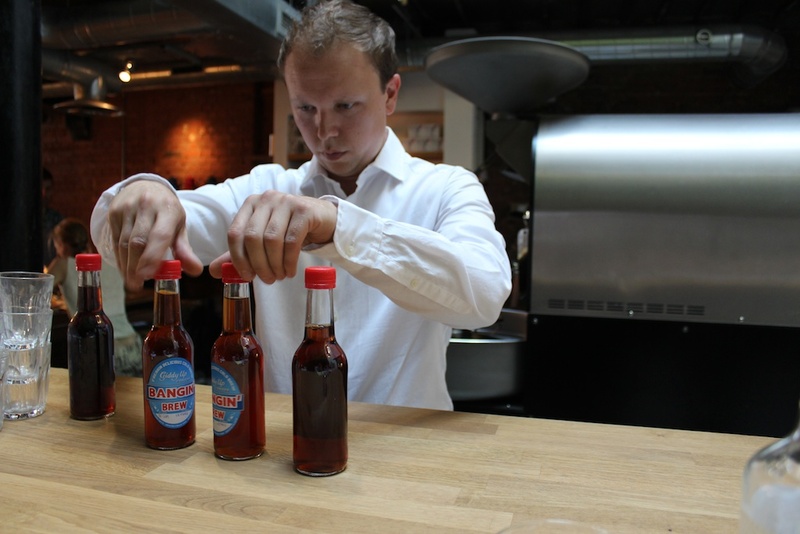 The solution: optimally extract your coffee! 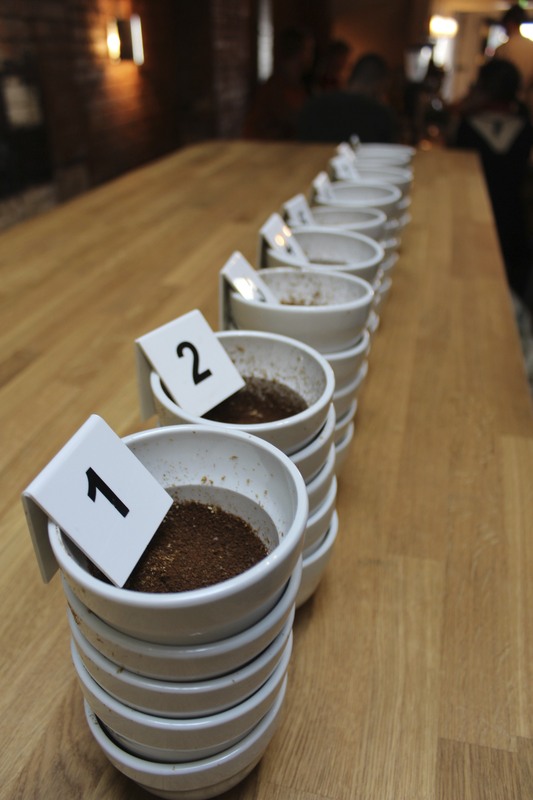 We underwent a calibration cupping of several coffees, including our own Gichathaini, Kenya and Olke Bire, Ethiopia that Ben had requested we bring. Every bowl was ground using the EK43 and extracted to 21%. Dictating an extraction yield to aim for avoids simply masking roasty flavours by under-extracting your cupping bowls and provides a more objective representation of the coffee’s flavour profile. 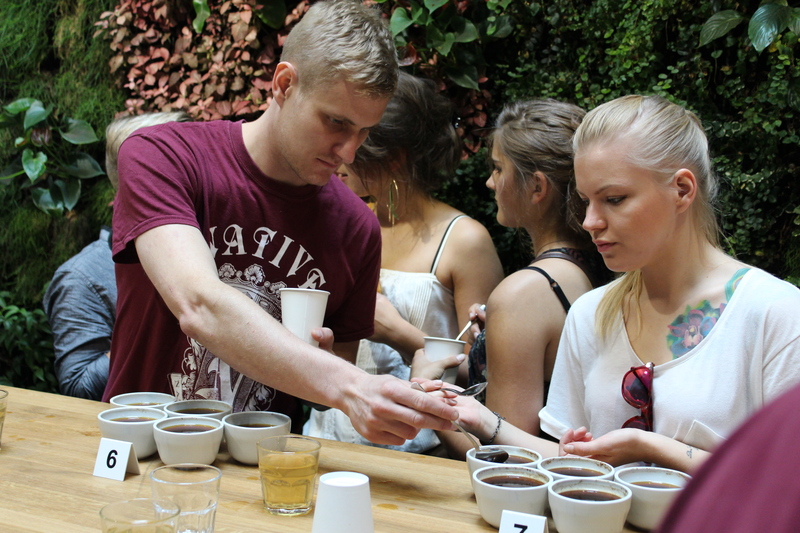 Tasting your own coffees in another environment, and through different equipment and water, is always informative, and those that we brought along were positively singing. One way to mitigate the muddled character caused by a vastly uneven grind distribution is to sieve your coffee grounds, removing the large bits with a 1000 micron sieve and the small bits with a 250 micron sieve. The more even grounds can be extracted to an optimal level without the fines over-extracting and the boulders under-extracting. 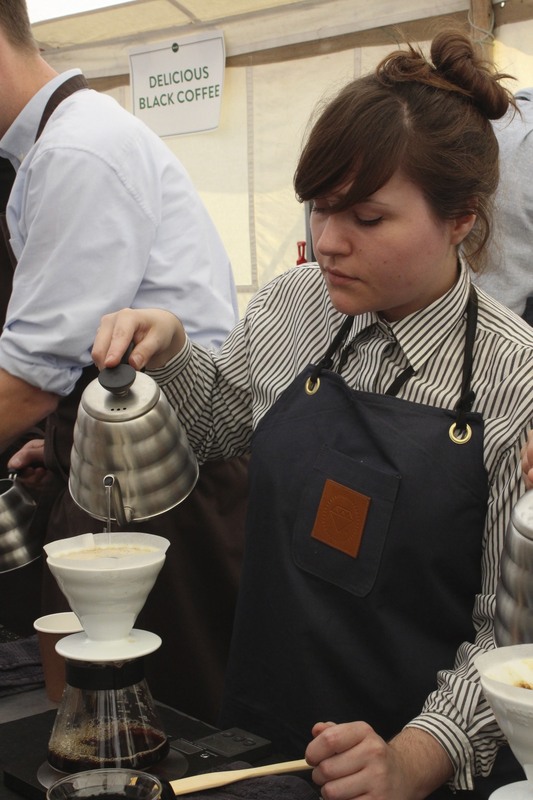 This may be a tenable option in barista competitions, but is unfeasible for a busy coffee bar. The EK43 produces a unimodal grind size distribution with a small standard deviation, eliminating the need for sieving. The excellent grind quality of the EK43 can facilitate superior brewing of both filter strength and espresso strength coffees. 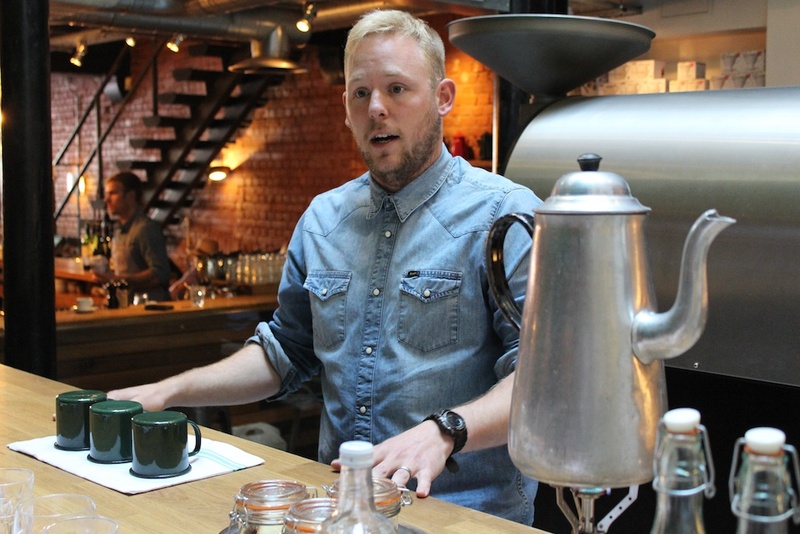 Ben claimed that all brewers are imperfect, but favours the espresso machine for producing both styles of coffee. It delivers water at a controllable, consistent temperature, adjustable pressure, it showers the bed of coffee evenly and the portafilter is a great flat bed brewer. Due to a lack of fines from the EK43, your flow rate relates more closely to the dial on your grinder, making it easy to extract more solubles by grinding finer and exposing more surface area to your solvent. There are no fines to impede the flow and so espresso brewing follows the rules of filter brewing more closely. Despite struggling with the softness of the water, Ben pulled us some filter strength “Coffee Shots” through the espresso machine with incredibly high extraction yields (well into the redzone of above 22%) that possessed real sweetness and very strong aromatics. Our Olke Bire, Ethiopia tasted so clean and floral and the Gichathaini, Kenya developed a fantastic, syrupy sweetness at the high extraction levels. Even more impressive were the espressos made with our Cult of Done Espresso (Thunguri AB), brewed using a recipe of 21g coffee to 52g water (instead of 18g:33g). We enjoyed some espressos with the most voluptuous texture and a ridiculous fudgey sweetness, with extraction yields of around 21%. All that is required is extra preparation time (weighing out a whole lot of doses) and the EK43 can be your new espresso grinder, enabling higher extraction yields and super tasty coffee. We continued tasting well into the night and left itching to get back to our place and experiment on home turf. A La Marzocco GS3 now neighbours the EK43 in our Production Department, and we are continuing to experiment - looking at whether or not we'll work the EK43 into regular bar service. -- If you're interested in the Mahlkonig EK43 for your place, don't hesitate to get in touch for more information, pricing and delivery times. After a hiatus of some months, we're back into production of a single origin espresso to run alongside our Cult of Done Espresso, and this time out it's a filter/espresso crossover: the Santa Clara Microlot from Guatemala that you've been loving as a filter roast is stepping out as an espresso, too. We've pushed the roast just that little bit further, and brought out some extra richness and depth for this espresso version. Look for aromas of plum, flavours of milk chocolate, sweetness of cherry and a fig and hazelnut finish. We've been enjoying it most dosing at 18.5g, yielding 33g of espresso in 31-33 seconds (with a few seconds of pre-infusion), but don't take it as gospel. 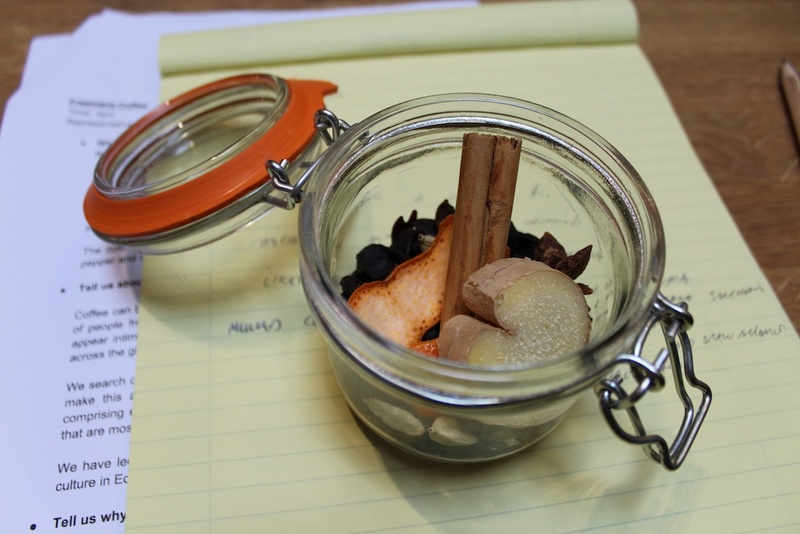 Originally, we’d planned on moving back to a blend. We’d gone as far as selecting two coffees, buying them, and moving them into the necessary warehouses. We brought a few bags to London and started test roasting, and then came to the first instance of actual espresso quality control. 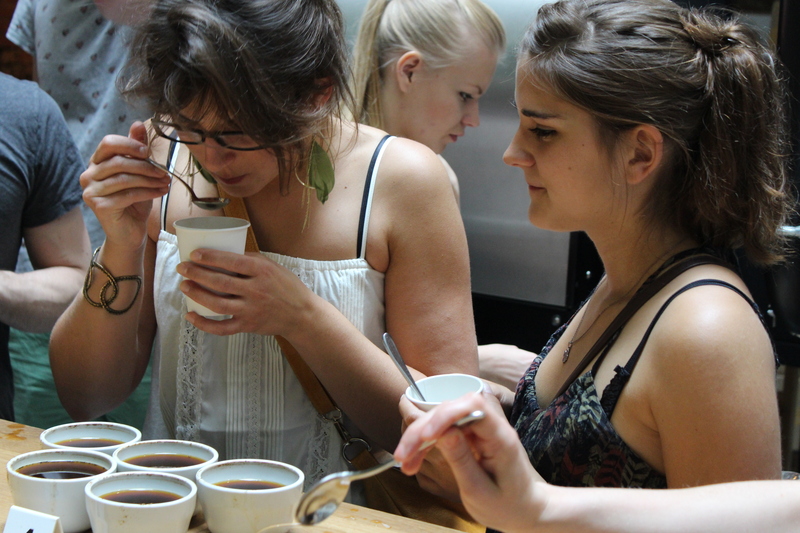 Each of the roasted coffees, pulled as espresso on their own, tasted wonderful. Different from each other, but delicious nonetheless. Blending them, however, was another matter altogether. All sweetness, acidity and nuance from each component disappeared, replaced by a God-awful clash of flavours, and a noisy, abrasive, medicinal bitterness. 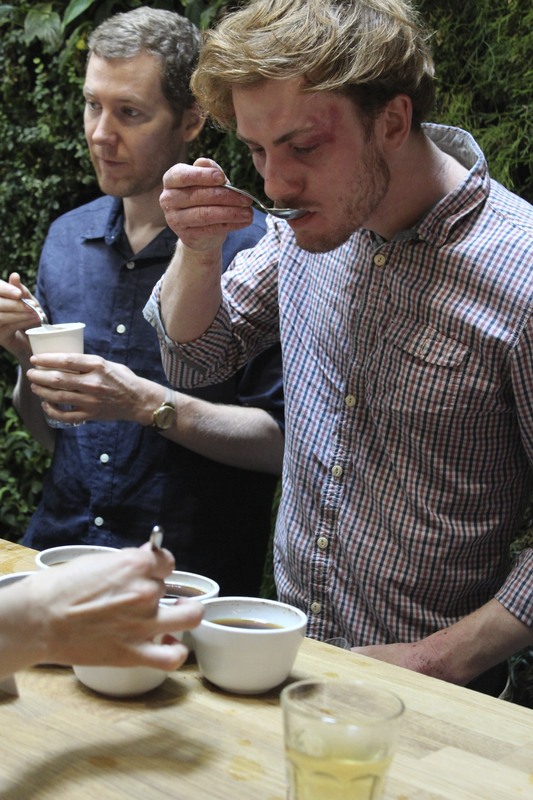 No matter which test roasts we combined, or how we reworked the recipe, these coffees wrestled with each other in the cup, and the results were spectacularly unpleasant. Somewhat flummoxed (look it up), we weren’t quite sure what we were going to do with the tonnes of coffee in the warehouse, until our Clerkenwell Head Barista Ben suggested with staggering simplicity; don’t blend them -- just release one, and then release the other. So, here it is: Chapter 1 of Lucky 13 -- comprised of 100% La Ilusion, El Salvador. This washed coffee from the volcanic Santa Ana region is part of a long-term project between Nordic Approach and El Salvadorian producer, Jose Antonio Salaverria, focusing on improving quality through changes to techniques in processing and drying, as well as more specific lot separation and traceability. 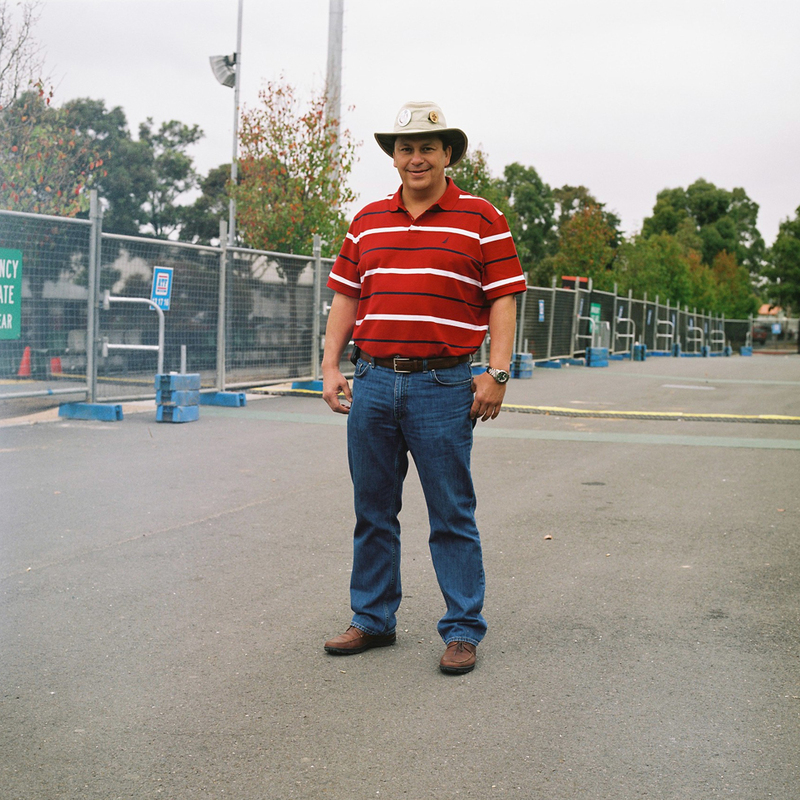 The Salaverria family owns a number of farms in the Santa Ana region, geographically located around the central mill, Las Cruces -- also owned by the family. In order to ensure that only the ripest cherries are harvested and brought for processing, well-trained farm workers are incentivised with monetary reward for the quality of their daily pickings. Each afternoon during the harvest season, the ripe coffee cherries are brought a few kilometres down the road from La Ilusion to the mill, where they’re processed using Jotagallo eco-pulping machines, which remove the cherry skins and about 70% of the sugary fruit flesh that cover the beans inside. An overnight soak in fresh water loosens the remaining fruit flesh, and the parchment coffee removed from the tanks comes out clean, bright and free of all mucilage residue. The parchment coffee is then dried on a clay patio, being raked and turned periodically, as well as being piled up and covered at both the hottest part of the day and overnight to protect from over drying and rehydration respectively. The drying process is monitored closely and depending on climatic conditions usually takes between 8 and 10 days. In the cup, you should be looking at this espresso as a staggeringly opposite counterpoint to the bright, juicy and vibrant characteristics of our most recent Cult of Done Espresso - Thunguri AB. Expect a fatter, deeper espresso with notes of toasted almond, baker’s chocolate, juicy cherry, warm butter and sweet, dense baked currants all contributing to a full, rich and satisfying cup. From near disaster comes an espresso we’re absolutely delighted with, and the lucky 13th version of our Cult of Done, no less. Thanks Benny, and here endeth the lesson. Cult of Done Espresso v13 starts roasting from Thursday August 8th. 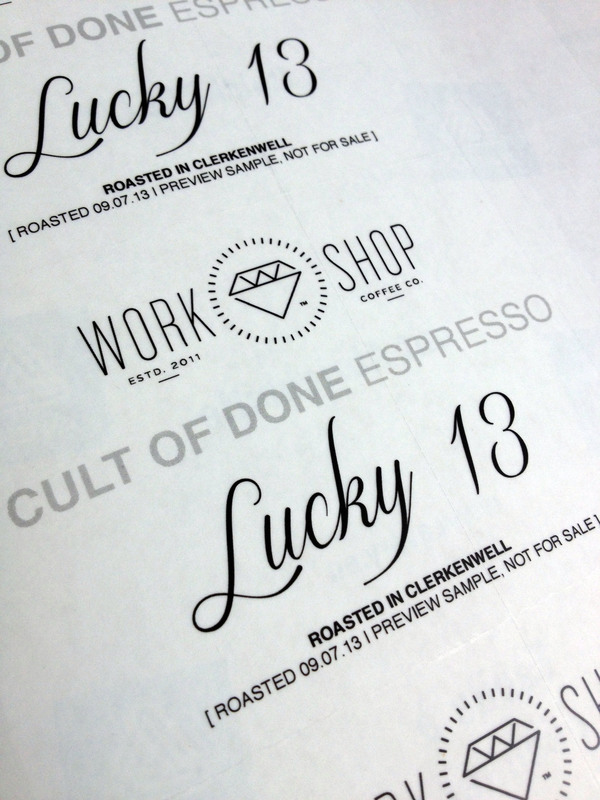 Winging its way out to our Wholesale Partners over the next few days... preview samples of Cult of Done Espresso - Lucky 13. We're not saying what's in it just yet (how tremendously exciting...), and this may not be the exact final version. But it's well-rested, and ready to go, so just dial it in and enjoy it. And don't forget -- if you were a Wholesale Partner, this would be on its way to you, too. While we take great pride in all the coffees that we bring into our range, and share with our customers, Olke Bire, Ethiopia is certainly a special one, and a coffee we'll remember for a long time to come. 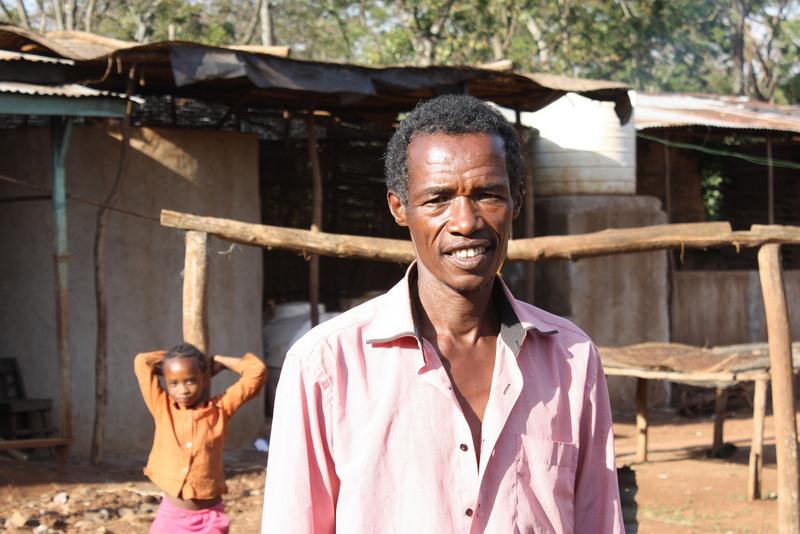 The coffee is named after the man in the photo above, Mr. Olke Bire; a coffee farmer and now washing station owner, located just outside the village of Suke, in the renowned Ethiopian coffee growing region, Yirgacheffe. Until recently, Mr. Bire just grew coffee cherries, and like other farmers in the region, sold them to a local trader at a fixed price, regardless of the quality of the cherries. By participating in a new programme ('One Farmer, One Roaster'), Mr. Bire has been encouraged to take out a small loan to finance his own washing station, allowing him to control the quality of the coffee from the tree, right down to the dried green seeds that we purchase from him. In this way, Mr. Bire can take control over how the coffee is grown, processed and dried, and most importantly -- how much the coffee sells for. Through this program, we've been able to identify farmers and washing station owners that are committed to quality coffee production, and reward them financially for their superior quality. 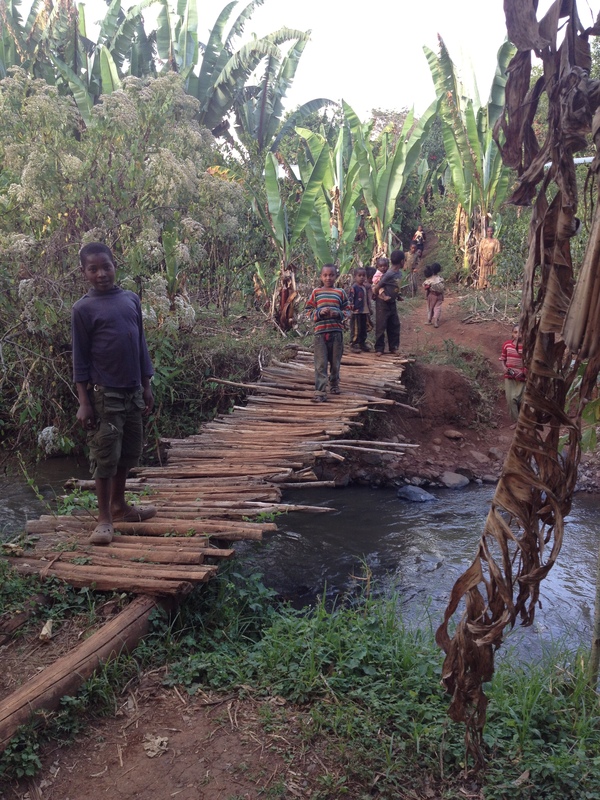 Last year's additional revenue allowed Mr. Bire to build a well on his land, cutting out the need for his family to walk a 6km round trip for fresh water. Though unfortunately we arrived quite late at night, we were able to visit Mr. Bire's farm and washing station on a visit to Ethiopia in February this year, so we were delighted when the samples we took with us turned out to be of such great quality! Of more questionable quality was the local 'hotel' we stayed in that night, resplendent with cockroaches, bed bugs and toilets that flushed onto the floors... But that's a whole other blog post. 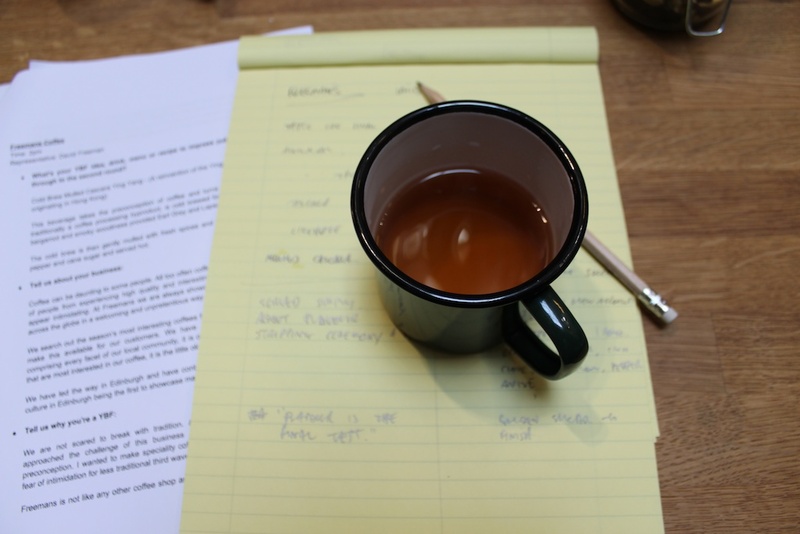 This coffee has a wonderfully silky mouthfeel, carrying fresh peach and Bergamot orange sweetness. It was a very small lot, and we secured just 10 bags, so don't take too long to get your hands on this one. Another coffee that we're very proud to be showcasing this year, and one that is really standing out on cupping tables and domestic kitchen benches alike, is the Gichathaini AA, Kenya. Again, we were fortunate enough to visit the Gichathaini factory a few months ago, not only to look at the facilities for coffee production, but to sit down with the managers of the co-operative society that runs the factory and to talk about what our coffee purchases mean to them. 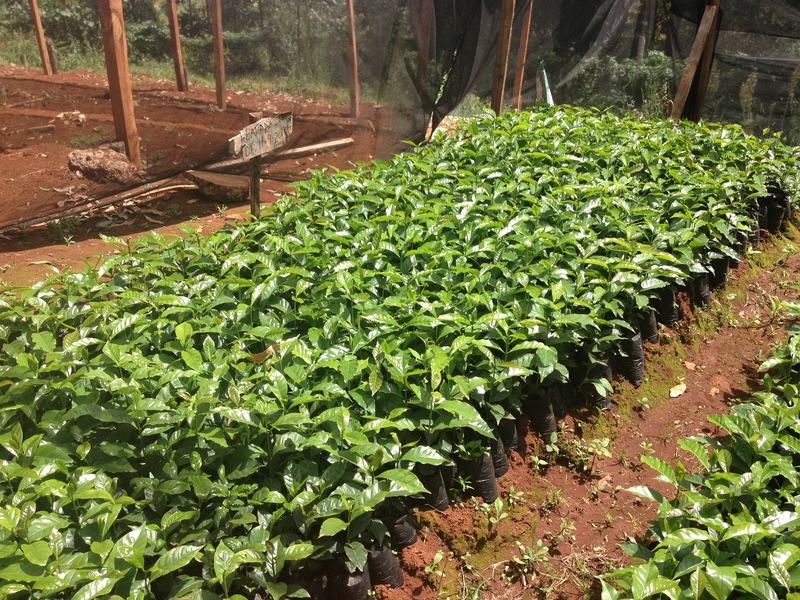 In addition, we were shown through an on-site nursery, growing a range of coffee varieties; from the more usual SL-28 and SL-34, right through to newer, experimental varieties such as Batian -- a more disease and drought resistant cultivar. These seedlings will be nurtured here until they're ready to be sold on to the co-operative member farmers at a heavily subsidised price. 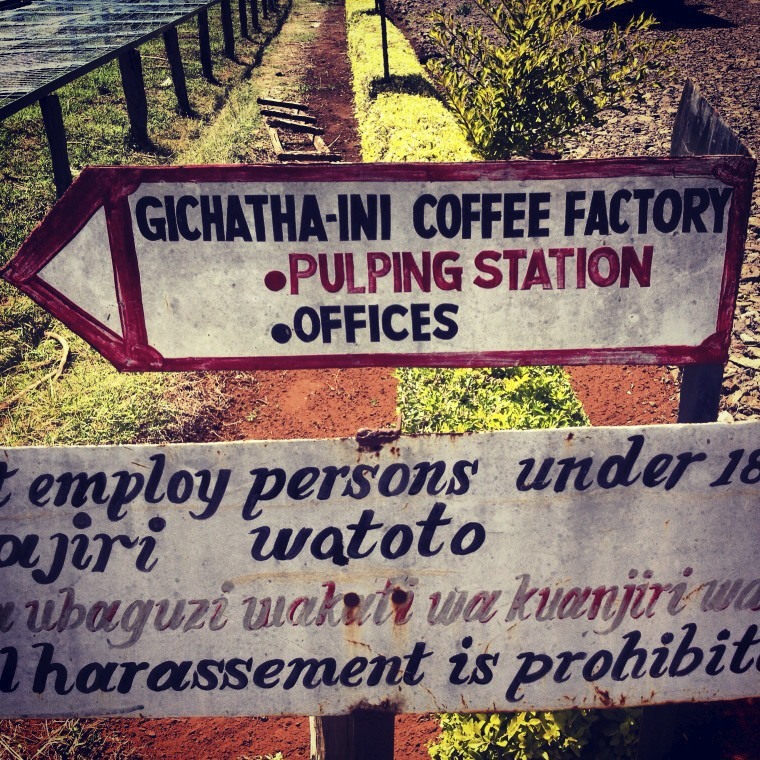 Gichathaini has produced consistently excellent coffee for many years now, and as a result, it's a name that crops up on the offer sheets of great roasters all around the world. While often we're hoping to carry coffees that people are less familiar with, the bright, super-sweet rhubarb characteristics evident in this particular lot meant it was a coffee we couldn't pass up. We're currently serving this coffee on Aeropress, and have retail bags available in both our stores, as well as online at in our Dispensary. Don't miss out. Be sure to keep an eye on Twitter as we plan to hold plenty more of these events.